I find that when my anxiety gets really bad while watching sports on TV (I'm looking at you, Chicago Cubs...), it's a good time to refocus my nervous energy into something more productive. 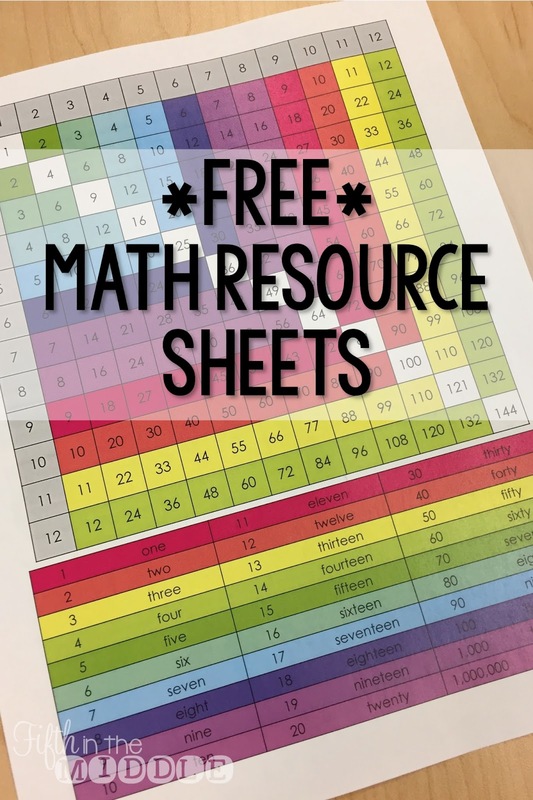 I decided to make the math resource sheet for my students' binders that I've been wanting to do for a while now. 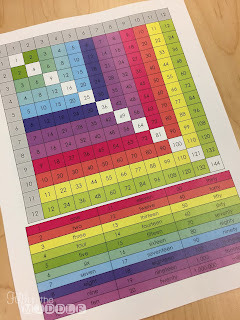 I needed a multiplication chart that went up to 12 since my handheld ones have been slowly disappearing. I normally write the spelling of numbers on the whiteboard for reference, so I went ahead and added those here, too. You can download your copy for free by clicking the image above. A grayscale version is also included. 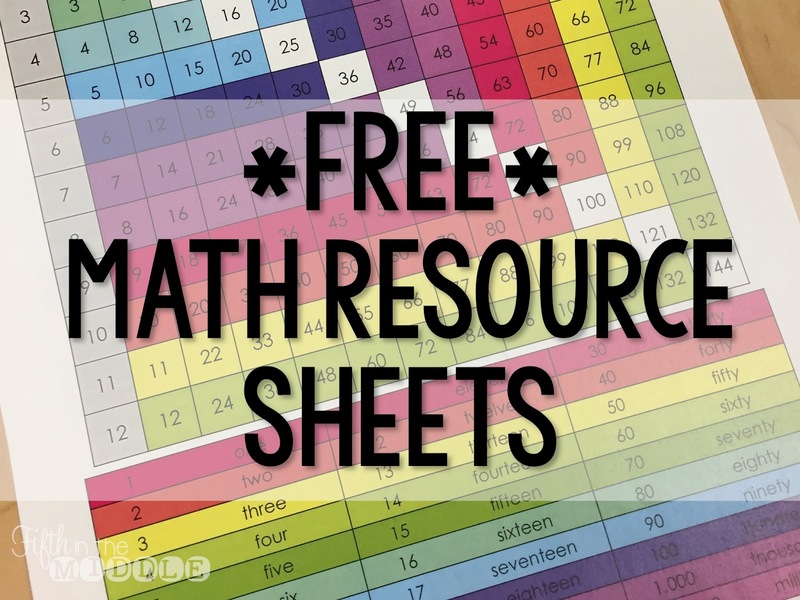 If you would like access to my entire Google Drive of free resources, enter your information below! 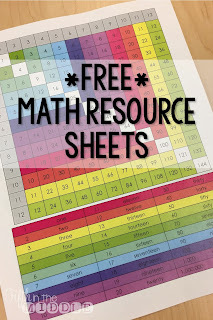 I LOVE this resource! 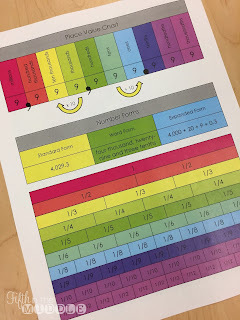 It is so clear and perfect for my 4th and 5th graders. Thank you so much for sharing!